Not that I am referring to being in need; for I have learned to be content with whatever I have. I know what it is to have little, and I know what it is to have plenty. We shower our children and grandchildren with all kinds of dazzling, high-dollar toys for Christmas, birthdays and special events–dolls that actually cry and wet themselves and Lord only knows what else, and toy assault rifles the size of sofas that (oh boy!) light up when a kid shoots it. And yet little ones all over the world–the rich and poor kids alike–still attach themselves to rag dolls and teddy bears, rubber balls and wooden blocks, little toy cars and fire trucks or rubber duckies that quack. You may have noticed how content a child still in diapers is to have pots and pans to bang on with a wooden stir stick from the kitchen. 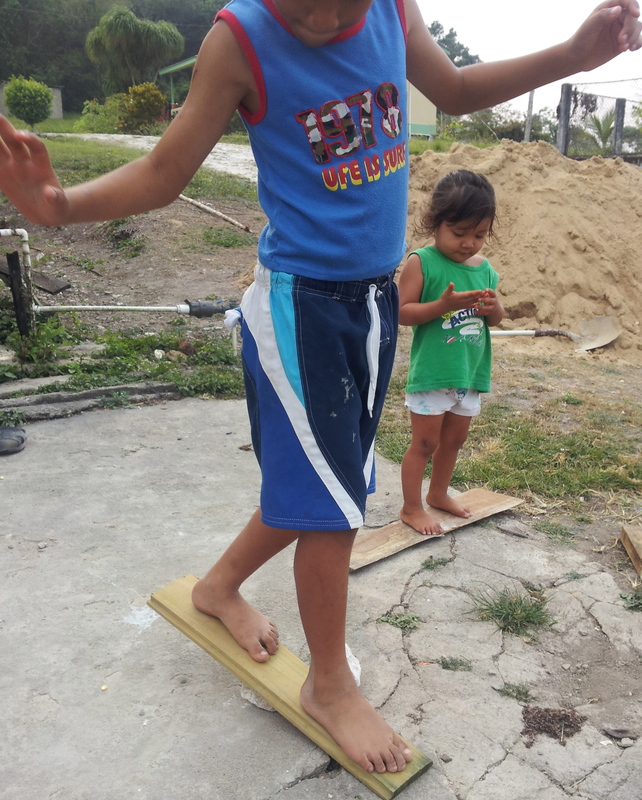 In the mountainous part of Belize where I live, I’ll often see some child, who might have toes sticking out of worn-out, hand-me-down shoes, tying a long string around the neck a big, plastic bottle with a few pebbles he dropped in it for rattling. Then he’ll go running up or down a hill with the string in hand and the bottle bouncing and rattling behind him. I see a lot of older boys outside their homes after school playing marbles, that simplest of games, or girls playing hopscotch in the sand. And I see a lot of tots entertaining themselves banging on pots and pans with sticks. Maybe the seductive simplicity of these toys and games says something about how less is more in terms of happiness and contentment, even for we adults who love all our electronic games and the latest “toys” from the malls and Apple Stores and Best Buys and Wal-Marts and gun shows. Our purpose is to teach our children, but that doesn’t mean they don’t have plenty to teach us. 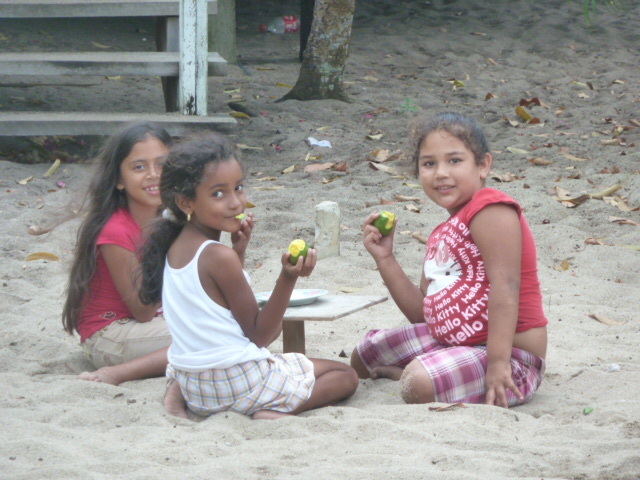 Snack time for the youngbloods in a backyard at Placencia the beach town.